With all the excitement of the kids going back to school, many families may not think about what it means to the dog or cat. What you may notice are changes in behavior, a sad dog or cat, who mopes around or sleeps a lot more. Or your dog may suddenly started chewing things he shouldn't, or your cat does a lot more meowing. And you may not even connect the unusual cat or dog behavior with back-to-school time. Dogs and cats love routine, it makes them feel secure. They like knowing that certain things happen at about the same time each day, and they know where they want to be when it happens. If the kids have been around all summer, playing outside with the dog, or giving kitty extra love and snuggles, and suddenly they’re gone all day, it's upsetting. For some pets, they just feel sad and confused, and others feel real separation anxiety and may act up. 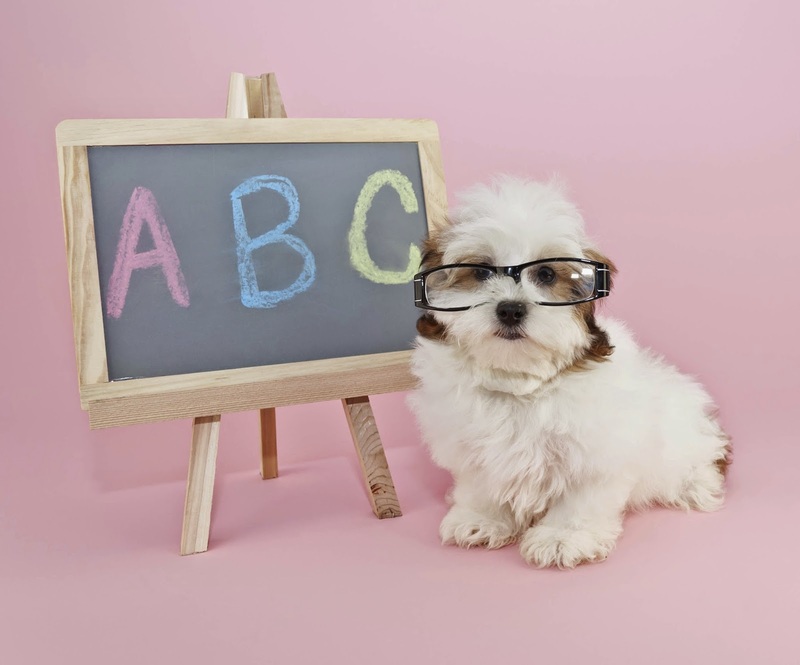 Kids can help your pet through the back-to-school blues The first thing to note is that this is a family matter, and a good opportunity for the kids to take more responsibility for the care of their pets. Let your kids know that their dog or cat is going to miss them when they're gone all day, and discuss what they can do to help their pets through it. One of the best ways for a pet to get over the loss of one routine is to replace it with another. Your pet may be sad all day at first, but if he knows that at 3:45 your kids will be home from school and will actively play with him soon after each day, your pet has something new to look forward to. If your child has a set time to do homework or read, that's an excellent time for the dog or cat to curl up next to her and "help" with studying. Ask your kids to think of other ways to include their pets in their routines. More than just sad, it’s separation anxiety If your pet exhibits true separation anxiety, as in, he goes crazy when he sees your kids put on their backpacks to leave for school, or is destructive when everyone is gone, you'll have to do some gentle training to ease his stress. Your kids may feel sorry for their pet and do a long sad goodbye. This only reinforces your pet’s fears and builds up the anxiety. It’s better to make the goodbye upbeat and brief, or eliminate it completely. Depending on your pet, he may respond well to a goodbye petting, a little goodbye treat, or simply leaving with a cheerful "good boy!" as your kids go out the door. This should happen before your pet gets upset. If your pet is freaking out, absolutely do not reward with anything. If you can get your pet to calm down â“ if it’s a dog, a simple "sit!" command may help. Then reward with petting and telling him he's ok once he’s calm. If your pet gets upset just by the backpacks or car keys being picked up, pick those items up and walk around the house with them several times a day, but don't leave. Your pet will learn not to associate those items with the pending doom of your kids leaving. When back-to-school means an empty house If everyone is gone all day, both parents included, your pets are going to be bored on top of being upset. It's important to leave them some interactive toys to help them pass the time. Eventually, they will get used to the new reality, and will likely sleep most of the day. You can balance the boredom by providing vigorous exercise each day when you or your kids are home. Remember, you and your kids may have had a very busy day, but your pet has done virtually nothing, unless there is evidence to the contrary, as in a shredded or chewed up sofa. Providing your dog or cat active, vigorous play each day will help them burn up their pent up energy. Take your dog for a run or go outside and throw a ball or flying disk. For your cat, run around the house with a little toy on the end of a string. You may also want to consider getting your pet a little buddy to keep him company when no one is home. Even an aloof adult cat is likely to accept a kitten into her life, and the kitten will entice the older cat to play. And dogs, being true social animals, nearly always accept another dog to play with. Remember, your pets can get nervous, upset, anxious or lonely just like people, only they don't have the benefit of knowing that you’ll be back when you leave. It's up to you and your kids to make your pets feel secure in ways they understand.